Is there anything better than a great cupcake recipe? According to my guys, the answer would be “two cupcakes”…or more! This roundup of 21 delightful cupcake recipes is a must-have for any enthusiastic baker or for anyone who loves making kids’ party food! Cupcakes can be decorated to match any theme so they look terrific on a boy’s birthday party dessert table and they’re easy for small hands to hold. Filled with ideas from top-notch bloggers that incorporate the most delicious flavors out there — like peanut butter cup cupcakes, Nutella cupcakes, banana split cupcakes, Kit Kat mocha cupcakes, super decadent chocolate cupcakes, s’mores cupcakes, Andes mint cupcakes, blueberry cupcakes, Snickers cupcakes, cookie dough cupcakes and banana pudding cupcakes, plus many more — this roundup will have your mouth watering and your imagination running! Use a favorite doctored up cake mix as the base for these decadent Peanut Butter Cup Cupcakes! Baked in mini Reese’s peanut butter cups offer little surprises of pure peanut butter bliss and the frosting has the perfect balance of salty and sweet flavors. Sprinkle with some chopped up peanut butter cups for the cutest and most delicious cupcakes you have ever tasted. This is not just any old Nutella recipe. This is the ultimate glorification of the favorite chocolatey spread. If you aren’t already tempted, the recipe calls for two entire jars of Nutella! Incredibly easy chocolate cupcakes are filled with generous spoonfuls of Nutella, topped with a big swirl of Nutella buttercream and a Ferrero Rocher chocolate. Talk about delicious. Half chocolate and half banana, these Banana Split Cupcakes are both delicious and beautiful. Thick banana and chocolate batters are split half and half then topped with a richly flavorful strawberry frosting made with freeze dried strawberries. A drizzle of chocolate sauce, some rainbow sprinkles, and a maraschino cherry made the perfect toppings. These are the perfect cupcakes for birthday celebrations and summer parties! Greek yogurt turns these cupcakes into the fluffiest and most delicious treats. They are just as quick to bake up as boxed cupcake mixes, but they taste so much better. Smooth vanilla cupcakes are topped with an easy and scrumptious blackberry cream cheese frosting and loads of fresh blackberries. Pop a whole blackberry on top and they are ready to serve. Sweet chocolate frosting and bits of Kit Kat bites are the perfect complement to a coffee-packed mocha cupcake. These cupcakes leave you with the unbelievable subtle taste of amazing. Decadent mocha cupcakes are baked with three Kit Kat bites right inside, then topped with a luscious chocolate buttercream and crushed up Kit Kats! One of these cupcakes will leave a smile on anyone’s face. Chocolate lovers – get excited! These rich, fudgey, and super decadent cupcakes are definitely for you. The perfect chocolate cupcake is loaded with cacao flavor and they turn out soft and fluffy every single time. To make them even more amazing, these chocolate cupcakes are topped with a swirl of killer chocolate fudge buttercream. They are also easy enough for a baker of any level to master. 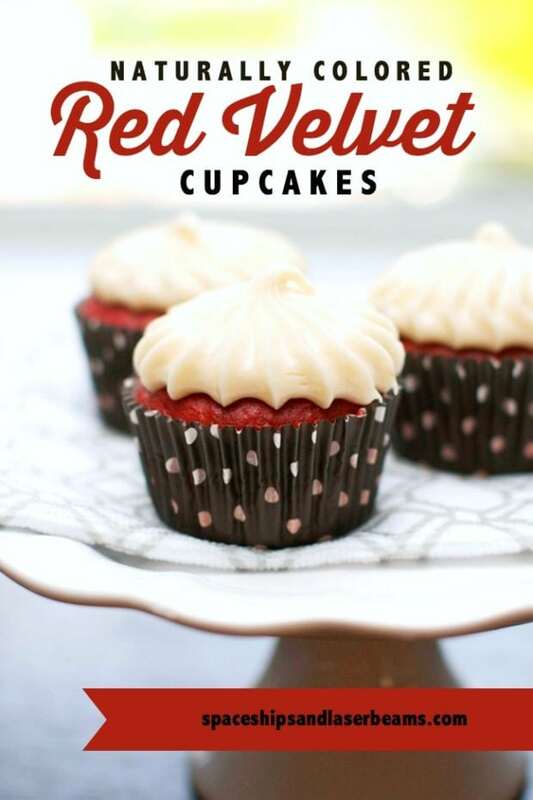 Whether you are making a special treat for the family, getting ready for company, or baking for a school bake sale, you need to try out these crowd-pleasing cupcakes. A buttery graham cracker base and rich chocolate cupcake gets topped with silky chocolate buttercream and an oven toasted marshmallow. Talk about scrumptious! 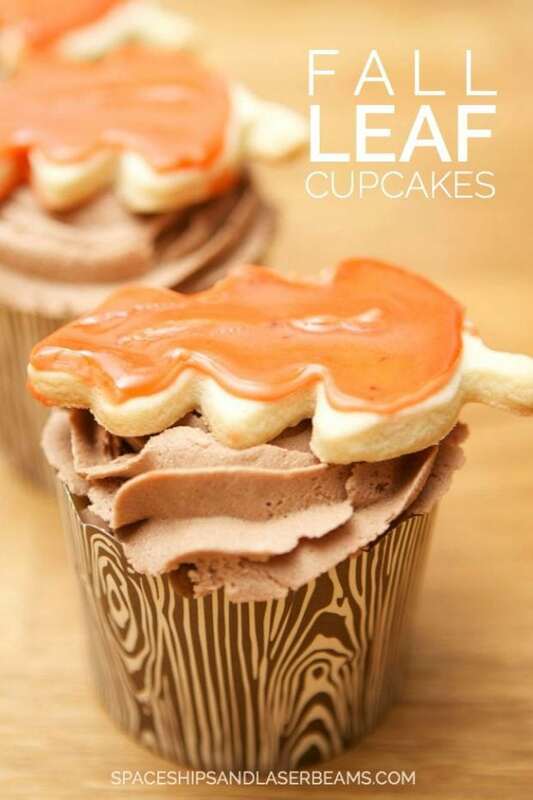 These cupcakes are sure to remind you of your favorite campfire treat. Transform everyone’s favorite Andes Mints into a delectable cupcake with this spruced up boxed cake mix recipe. Devil’s Food cake mix is made rich and fudgey, then loaded with a chocolate mint filling. Mint buttercream and an Andes Mint chocolate makes a delicious cupcake topper. 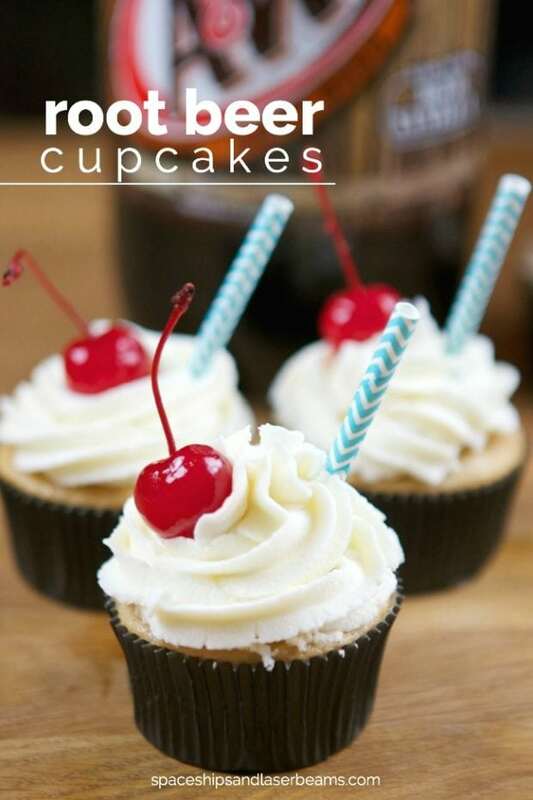 These cupcakes are sure to be a hit with friends, family, and anyone else you serve them to. These Lemon Blueberry Cupcakes will rock your socks off! The flavors are strong and the cupcakes are incredibly moist, but the end result is incredibly soft and light. Fluffy vanilla cupcakes are laced with bright lemon flavor and dotted with fresh blueberries, then topped with a luxurious lemon icing. These make the perfect dessert for Easter brunch, summer birthdays, and more. The only way to make the perfect chocolate cupcake even more perfect is to top it with an amazingly delicious salted caramel frosting. These cupcakes seriously taste like heaven. The recipe doesn’t take that much longer to make than a regular boxed cake mix, but the end result is totally worth the few extra steps. 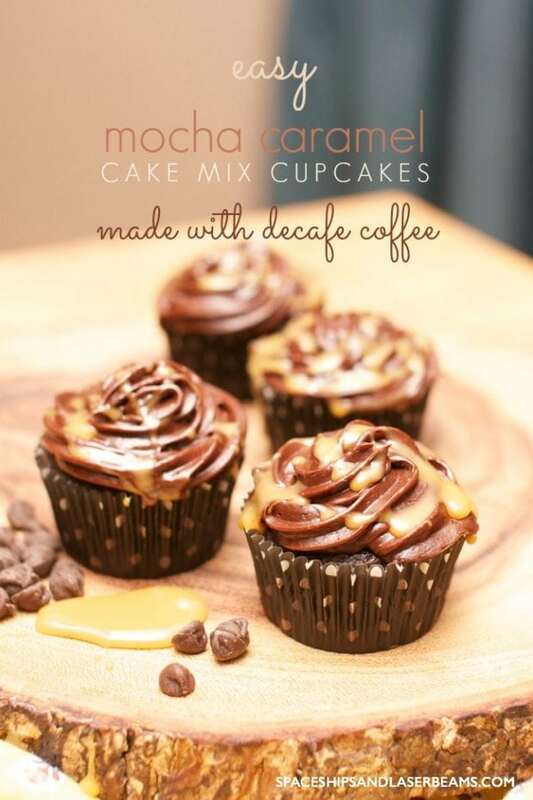 Tried and true, these chocolate caramel cupcakes never disappoint. These are the blueberry cupcakes of my dreams! They have the fluffy and moist texture of a cupcake thanks to a few secret ingredients including buttermilk and sour cream. The batter is sprinkled with fresh blueberries for fruity bursts of flavor while you are eating. Then of course to finish these cupcakes they are topped with a swirl of perfectly smooth and rich cream cheese frosting. If only you could east cupcakes every day. Talk about over the top. These Snickers Cupcakes are delicious, decadent, chocolatey, caramel-y, and peanut buttery. Start with the most moist, delicious and fluffy cupcakes made with dark chocolate filled with a caramel nougat concoction. Top them off with some creamy peanut butter icing, chocolate drizzle, and a mini Snickers bar! If these cupcakes don’t satisfy your sweet tooth I don’t know what will. Ready to get rosy? These Vanilla Rose Water Cupcakes are perfect for the girly girls who love cute and pretty things all rolled up into one. They are made of luscious vanilla cake topped with delicately scented rose water icing, and crowned with glittering, candied rose petals. These beautiful and creative cupcake treats are sure to leave your guests speechless. Cupcakes are a great idea for birthday party dessert tables, but you certainly don’t have to wait for a celebration. 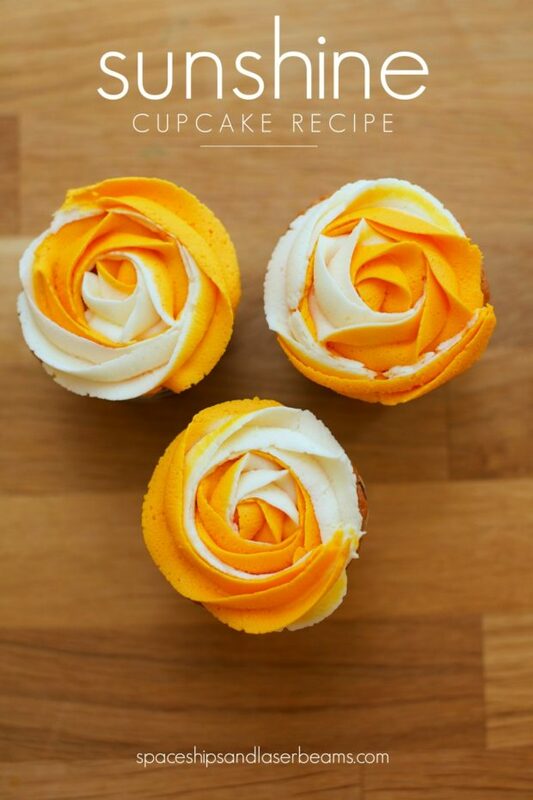 These cupcakes look special, but they are super simple to make! 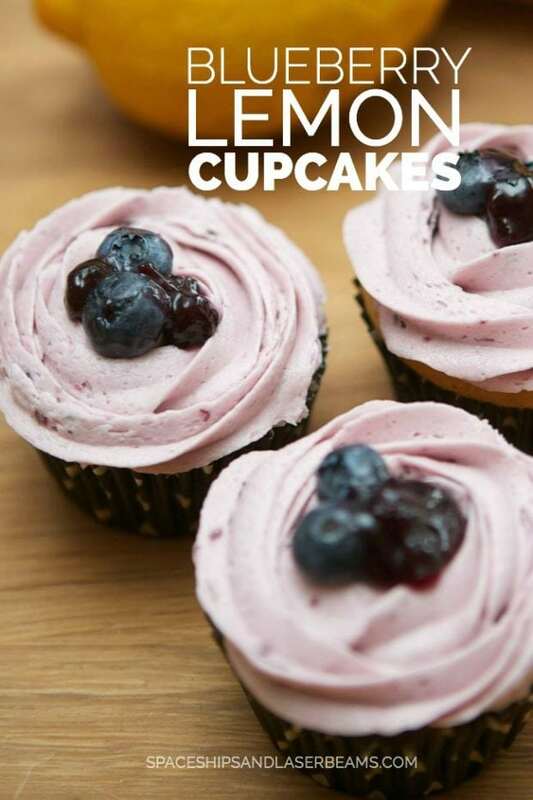 Easy ingredients including lemon cake mix, lemon pudding mix, and blueberry lemon fruit spread are quick to find and bring the most amazing flavor to these Blueberry Lemon Cupcakes. When you bite into them there is a surprise burst of fruity filling! Hands up if you are a chocolate chip cookie lover! Or should I say chocolate chip cookie dough lovers? Introduce yourself to the ultimate cupcake to satisfy both a chocolate and cookie craving all in one bite. These Chocolate Chip Cookie Dough Cupcakes are filled with cookie dough, covered in cookie dough frosting, and topped with a mini cookie dough cookie. This is such a fun recipe that your kids would absolutely have a blast helping you with. If you grew up in a southern household, chances are you were served banana pudding for dessert at any gathering with family or friends. Everyone loves the sweet, delicious, and creamy mix of pudding, fresh bananas, and vanilla wafers topped with whipped cream. These Banana Pudding Cupcakes bring all the creamy, dreamy flavor to your table in a fun, new way! Your taste buds won’t know what hit them. Mojitos are a fresh and favorite summer drink. 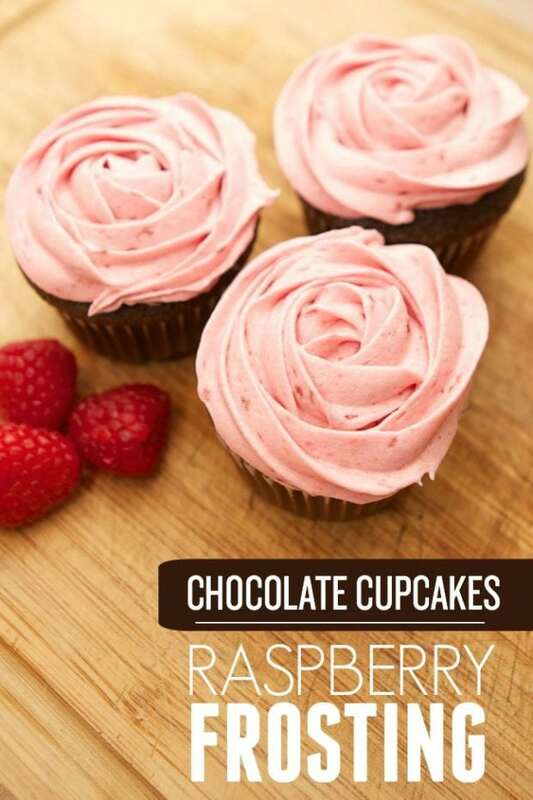 Transform those tasty flavors into a beautiful cupcake with this recipe for Raspberry Mojito Cupcakes! The cupcakes are packed full of lime zest and freshly squeezed lime juice, filled with a rum raspberry filling, and topped with a mint buttercream whipped to airy perfection. Top with a fresh mint sprig and a whole raspberry, summer is calling! I’m pretty sure that the way to anyone’s heart is bacon. Use your favorite breakfast treat for dessert with this recipe for chocolate bacon cupcakes with maple frosting. Pieces of bacon are folded into sweet and decadent chocolate cupcake batter and baked to perfection. The cupcakes get topped with creamy maple frosting and a garnish of chopped bacon and pure maple syrup drizzle. Loaded with sweet cinnamon-sugar, snickerdoodle cookies will always be a family favorite. 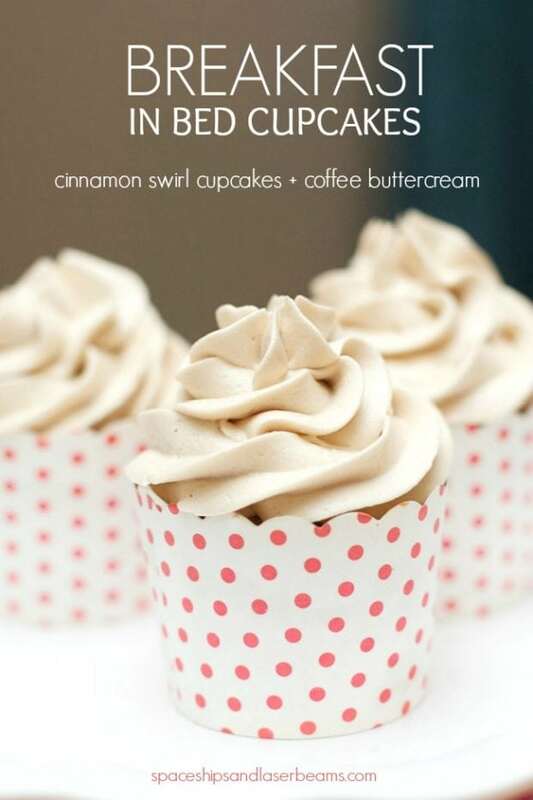 So how about a cupcake recipe with the same wonderful flavor? These snickerdoodle cupcakes have cinnamon sugar peeking through the edges, cinnamon sugar dusted on top, a mountain of cinnamon swirl frosting and a mini snickerdoodle cookie to finish it all off! Go grab a tall glass of milk and dig in. Calling all chocolate peanut butter lovers – these cupcakes will be your dream come true with double the Reese’s goodness. A full-sized Reese’s peanut butter cup is baked right into a deliciously fluffy chocolate cupcake, then topped with a light peanut butter frosting and sprinkled with Reese’s Pieces. The peanut butter frosting alone is worth making this recipe, you won’t be able to keep your fingers out of the bowl. When strawberry season rolls around you are going to want to have this strawberry cupcake recipe handy. They are overflowing with sweet strawberry flavor! Fresh strawberry puree and creamy milk make the base of the cupcake and fresh chopped strawberries are folded right into the batter. When they are done baking the cupcakes get topped with more fresh strawberries and a lovely strawberry buttercream frosting. Bon appetit! Love baking cupcakes? Check out these great products selected by the Spaceships and Laser Beams team, specifically to make your baking time even more fun! Check out these other great dessert recipes and make your party extra sweet! Looking for a great way to combine your party and delicous desserts? Check out this C is For Cookie: A Boy’s Cookie Monster Birthday Party! If you’re looking for another extra special treat, then why not try out these Peanut Butter Cookie S’Mores? Yum! Try this Carrot Cake with Cream Cheese Frosting and Caramel Sauce if you really want to impress guests!